This pendant is made up of five rose gold plated hoops and four slightly larger hoops which each feature 28 x Cubic zirconia Crystals. In total, this pendant features 112 individual Crystals. Each hoop is threaded with an Rhodium Plated chain which is adjustable 16-18 inches. 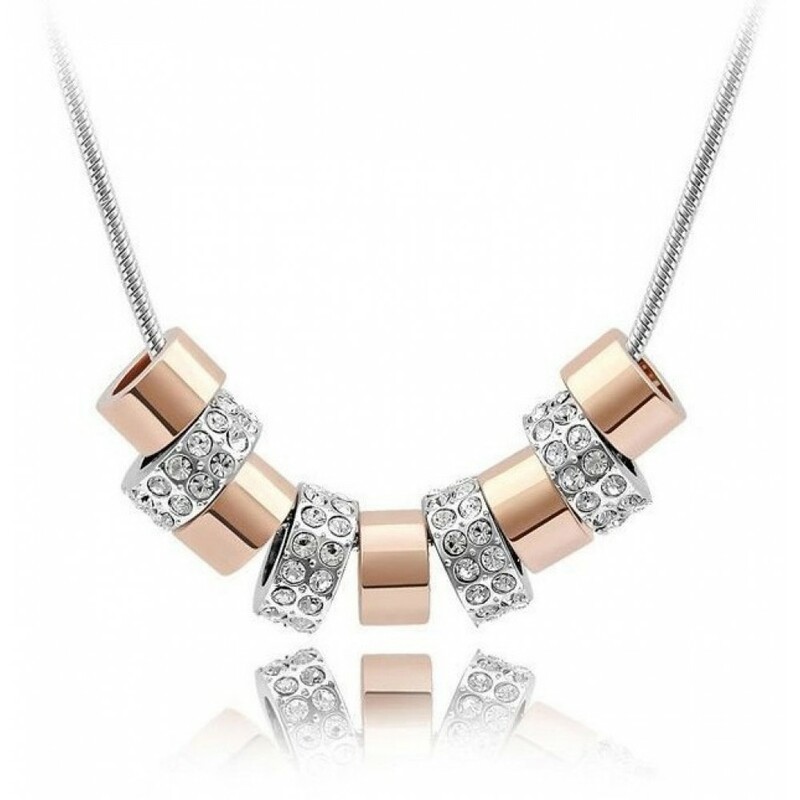 This stunning pendant comes presented in a luxurious branded gift box.